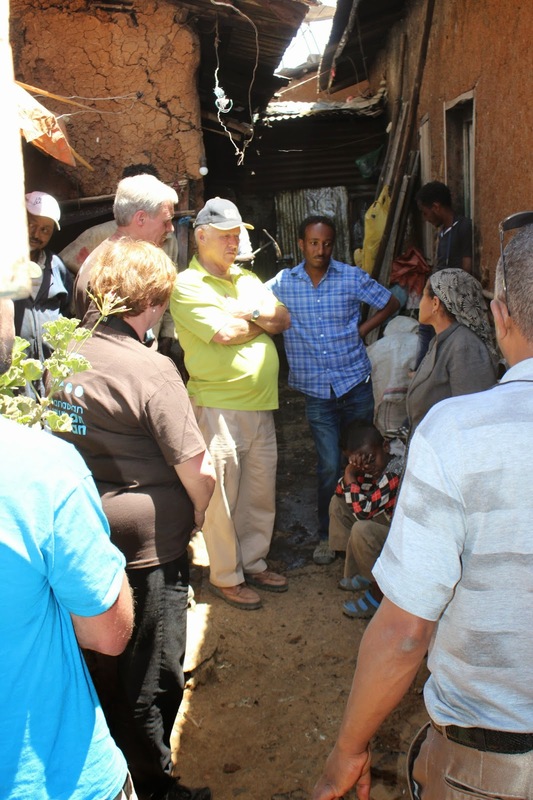 There are so many stories that are floating around my mind and heart upon returning from Ethiopia. I wish I could bring back something tangible to show you and have you feel and experience and smell and touch what we felt while we were there. Alas, luggage allowances aren’t what they used to be and even if they were, they wouldn’t suffice so I’ll have to rely on words to bring you as much as they will for now. I’ll start with a photo I shared on Instagram that seems to have touched a lot of people pretty deeply. It’s a young boy, named Teddy, who shyly gathered 7 adults together to thank them for putting a roof on his home. Teddy lives with his mother, behind a corrugated fence that hides about 6 or 7 families living in small mud and stick constructed shanties. Stepping over the small ditch with sewage and water running freely, into the small compound, I immediately felt claustrophobic. 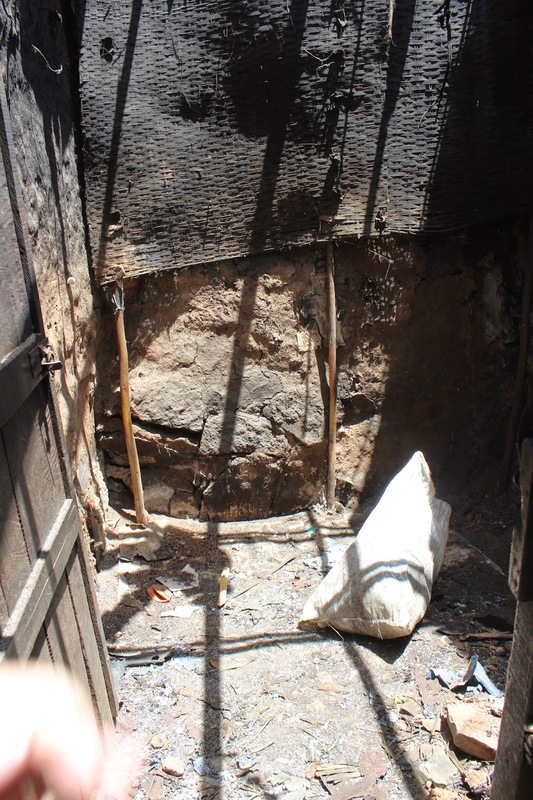 It was a tight little space with piles of tires and bags and plastic on one side of the wall, allowing only about 2-3 feet to walk through to get to the back of the compound where Teddy lives. In the corner, last doorway on the left…a dark little 9×9 shanty where his mother and he share a bed, cook their meals on an open fire with no chimney, the smoke filling their home until it dissipates through the door or the holes in the roof. The mud walls are covered with blackened soot and the floor is covered in ash, though you can tell it’s been swept just recently. Teddy and his mother live alone, and are only able to live here because their home is owned by a relative who has agreed to let them stay here. 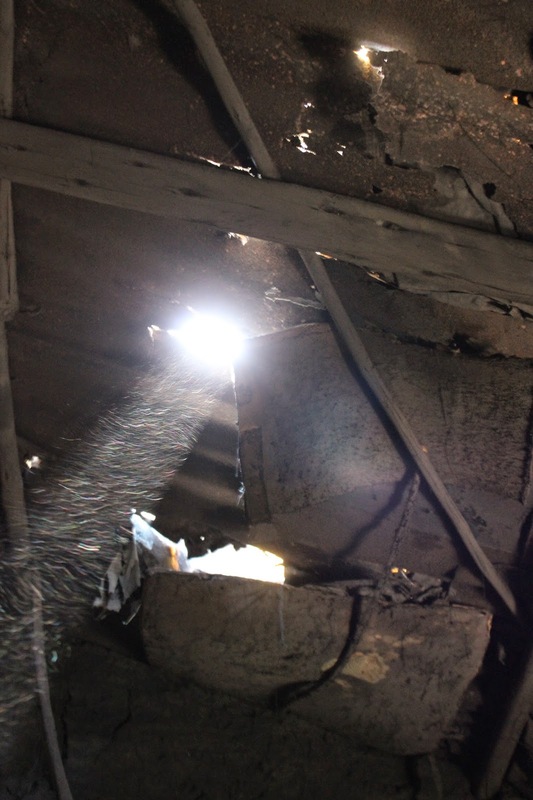 The roof is corrugated tin and it has falling into such disrepair that it actually allows the only light into the room that Teddy and his mother share. 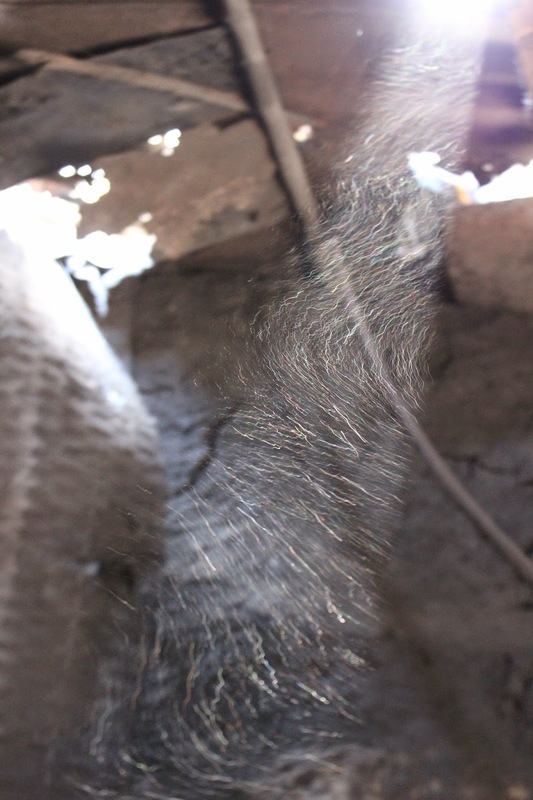 Sunlight streams through, illuminating the dust in the air, and while beautiful in a photo, imagine it in the rainy season when daily downpours rain virtually unhindered onto the heads of those trying to sleep or eat or cook below. We tear off the roof and there is an indescribable amount of dust, debris and rat droppings that we are inhaling as we go. There is no health and welfare department here to ensure the safety of children in their own homes. The roof comes off, the cross beams are dismantled, nearly dust themselves after years of heat and rain and smoke have had their way with them. 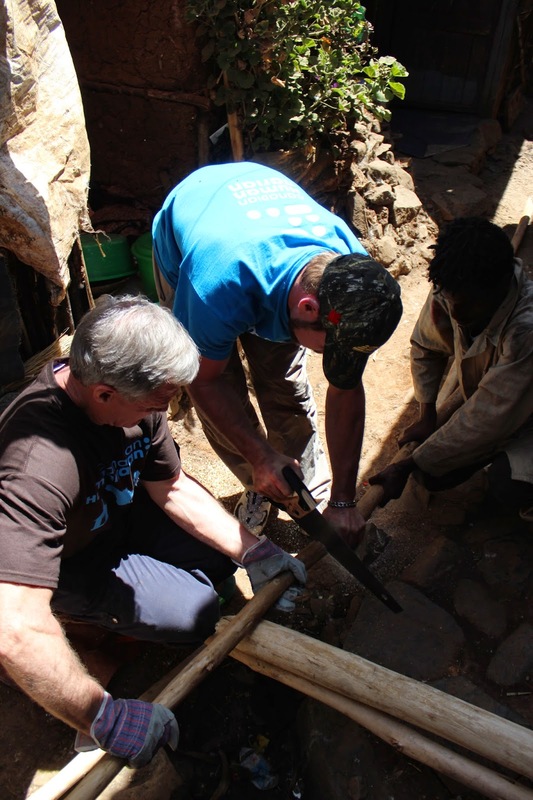 The guys on our team, Frank, Murray, Pete, Keith and Henry work alongside two graduating students from the vocational program, to come up with a plan to support and rebuild the roof, despite the crumbling walls and cramped workspace. We were worried that the guys being on the support beams may in fact cause the walls of not only Teddy’s house to crumble, but also that of the other child headed household on the other side of the wall. We had to move cautiously and constantly reassess the situation. 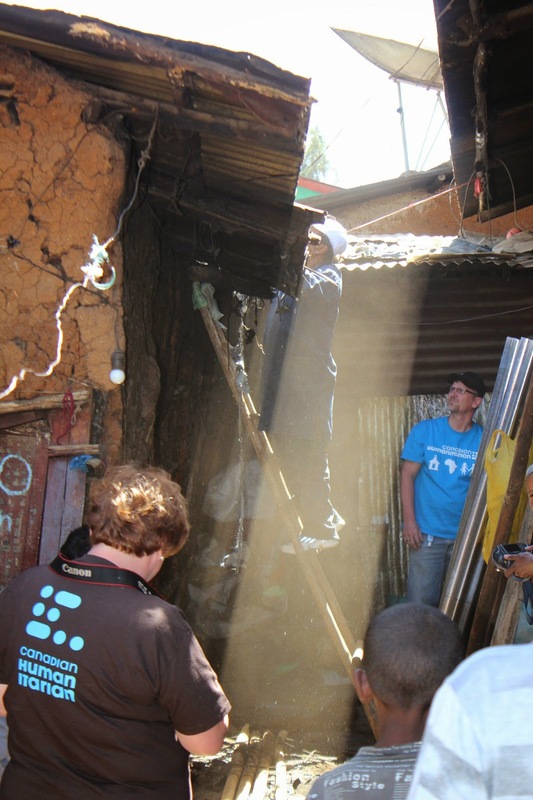 There are no building codes in these slums. 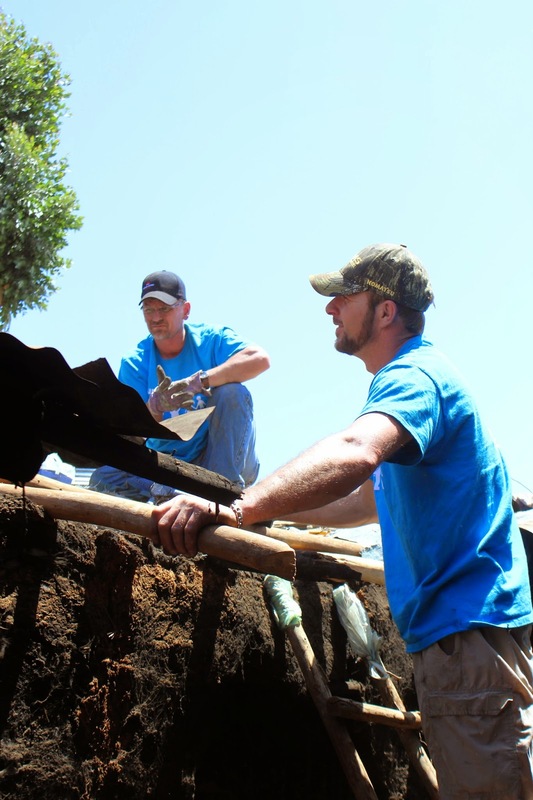 Most of the time that the guys were working, I sat outside the pit latrine, on the only free real estate I could find, with my feet up on bricks, hovering above the stream of sewage flowing through the yard. As I sat, I tried to imagine dark nights and rainy days turning the dusty yard to mud. 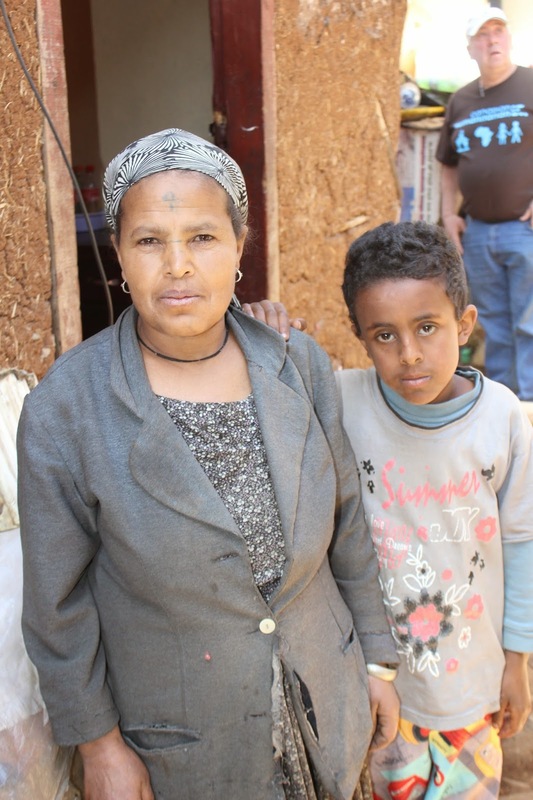 I tried to think of how a mother would keep her son safe and fed and dry when everything around them seemed unstable and unsafe, the very home they shared showering them and the mud walls crumbling into the already cramped space. 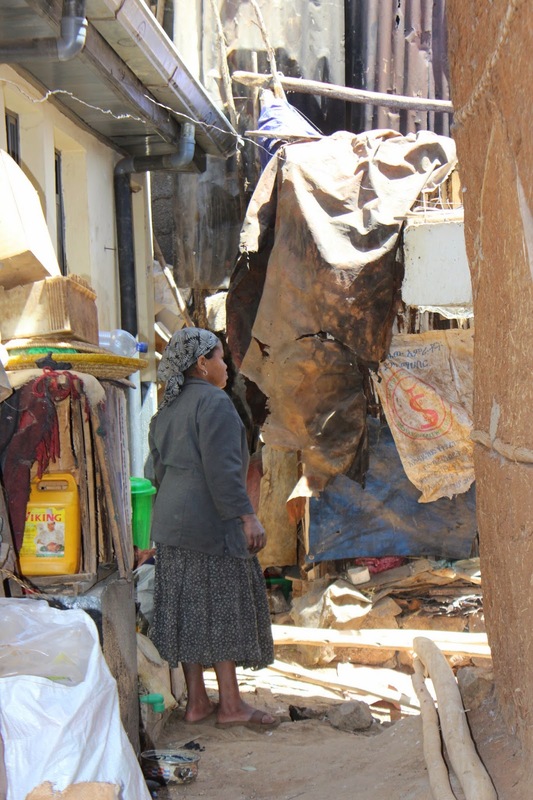 I tried to think of how I would keep my wits about me if these were the circumstances I was handed, my life to be lived out in this cluttered alley shared by other families, no privacy even in the suffering. I watched Teddy’s mother as she watched the guys rebuild her roof. She was a solemn and serious woman and yet, her hands would touch Teddy’s back when he walked by, she would stand next to him and watch alongside him, her love for him evident in her mannerisms and body language, though her face remained stoic. Apparently there’s no room for emotions in this crowded alley. Maybe they’re a luxury that can’t be afforded to those trying to survive. I know as I watched her and Teddy, my eyes filled with tears several times but I hid them in an effort not to embarrass them or myself. Hilo, a recent carpentry graduate is happy to be working and gaining experience. As a result of his work on this site, we are able to write a credible reference for him to aid in his job search. Frank learned quickly that you need to oil the nails to allow them to penetrate the hard wood poles. 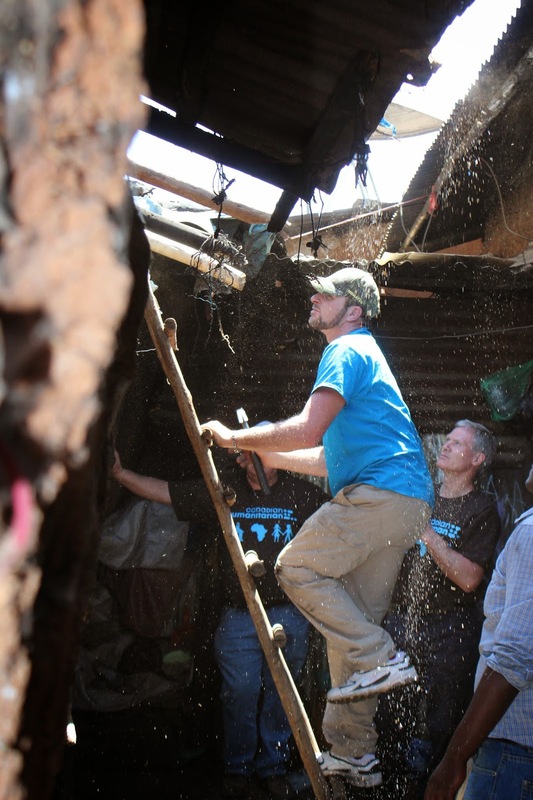 With the room cleaned out and the roof off, it was still just a 9×9 mud shanty shared by Teddy and his mother. Teddy’s mother looks on while demolition of the original roof takes place. 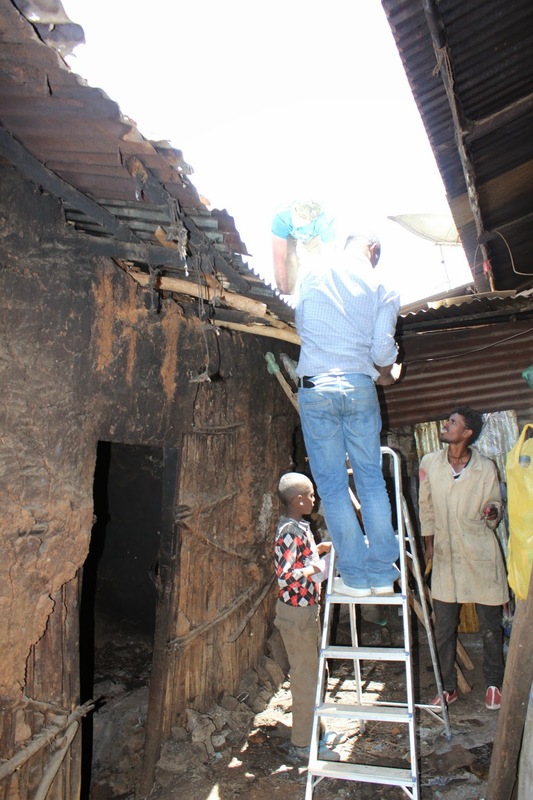 In the end, the guys were able to secure the roof and also to make a place for the smoke from the cooking fire to be vented, without allowing water into the home. Teddy and his mother were incredibly grateful and she shared their gratitude with us after the construction was completed. 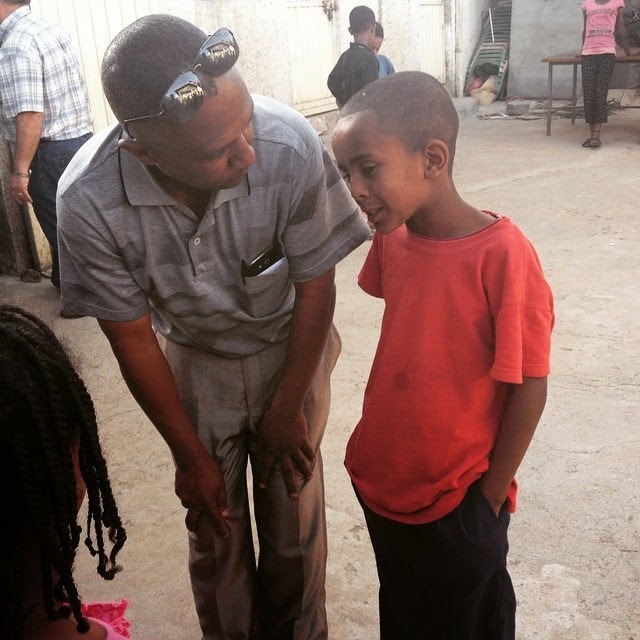 A few days later, when we visited Teddy at the centre where he receives a daily meal and help with school work, he asked the program coordinator, Tillahan, to ask if he could speak to us. Standing there, with Tillahan as his translator, this small boy spoke with such eloquence and gratitude, he moved us all to tears. He told us that in the rainy season, he felt he could never sleep and that he cried each night as it rained. No one should have to live in the kind of conditions that Teddy and his mother live in. Even with the roof fixed, I asked myself if I would feel confident enough to sleep there with one of my boys and I know that I wouldn’t. Although Teddy and his mom have to live in difficult circumstances, I know that when the rains come in the next few months, they’ll know that they will think of a group of new friends who came halfway around the world to do what we could to provide them with a dry place to sleep and the knowledge that they are loved and missed and prayed for by us. Teddy and his mother outside their home. 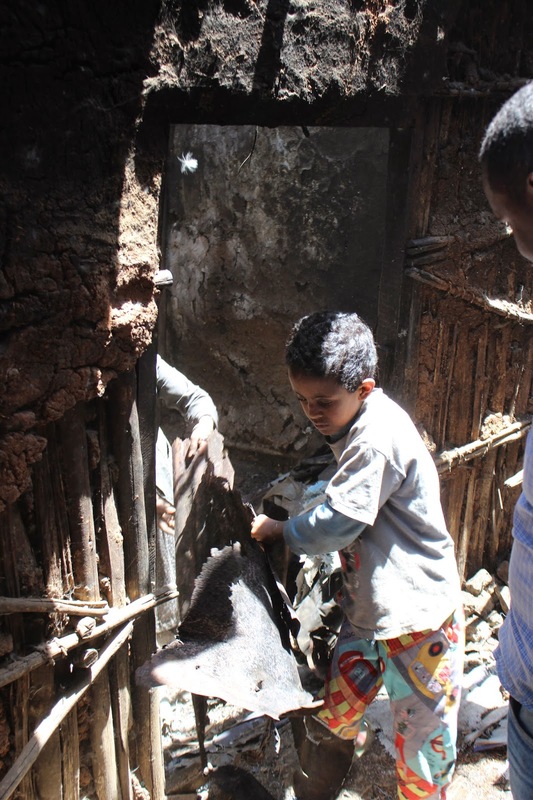 This entry was posted in expeditions, news and tagged 2015, education support center, Ethiopia, fill it up, home visits, volunteer. Bookmark the permalink.